Eden Hazard has reportedly given his approval to a move to Real Madrid this summer, although an agreement must still be reached with Chelsea. Amid a bitterly disappointing season which is likely to end without a trophy, Real Madrid have been widely tipped to be active in the transfer market this summer to rebuild their squad. 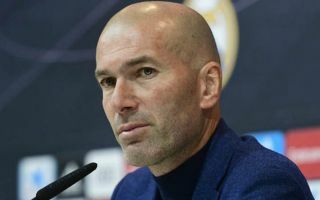 Zinedine Zidane returned this month despite having only left the Bernabeu at the end of last season, while the Spanish giants confirmed their first signing of his new tenure just days later with Eder Militao set to arrive this summer. However, given their poor form this season coupled with ageing stalwarts who will need to be replaced with long-term options, many more signings are expected in a potential squad overhaul as Madrid crashed out of the Champions League and Copa del Rey this month and sit 12 points adrift of La Liga leaders Barcelona. According to Sport, they may well have received their first major boost for the summer, as it’s claimed that Hazard has given the green light to a move to the Spanish capital, while it’s even suggested that a pre-agreement is in place on personal terms. Nevertheless, there is of course still a major obstacle standing in the way of the Belgian leaving Chelsea, and that’s an agreement between the two clubs over a transfer fee. It’s added by Sport that Chelsea will demand €114m for their talisman, albeit they don’t want to sell it all, and if an agreement can’t be reached, Real Madrid will switch their focus to Nabil Fekir instead. As noted by BBC Sport, the Blues have been hit with a transfer ban for the next two windows, and that will surely also have a major influence on their business this summer if they can’t successfully appeal against it. Without being able to sign a replacement for Hazard, albeit Christian Pulisic is set to arrive from Borussia Dortmund, they will surely have no interest in letting their most prized asset leave.